Beluga whales, also called white whales, transmit migratory information and other knowledge between each other, the study found. Photo courtesy of the White Whale Programme. 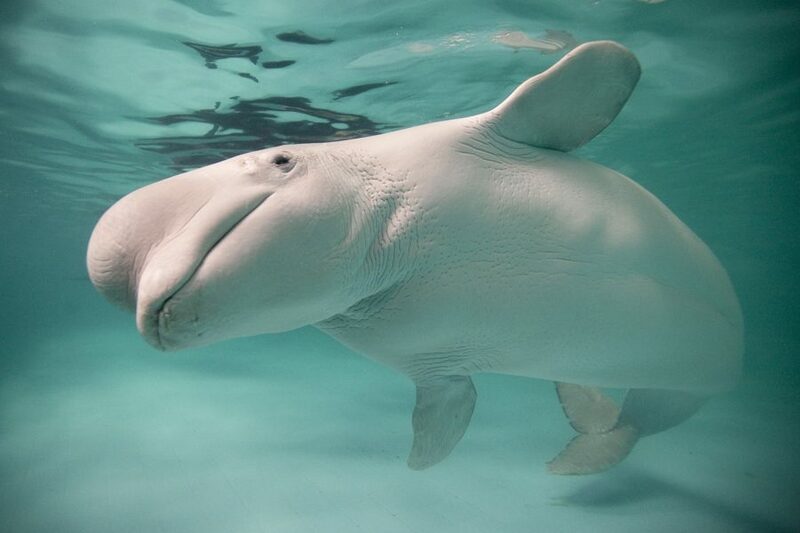 FAU’s Harbor Branch Oceanographic Institute discovered that beluga whales care about family, culture and ancestry in an unprecedented study published this year. Through the interpretation of DNA extractions, researchers found that the whales are able to form groups and deep, complex relationships. Related whales even pass information from generation to generation about migratory spots that they return to yearly, according to Greg O’Corry-Crowe, the lead author of the resulting research paper published in scientific journal PLOS One. Harbor Branch’s discovery of the whales’ migratory culture took decades of research working with various scientists across the Arctic along with the native people of Canada, Russia and Alaska. “When working with marine mammals, especially ones in the Arctic or subarctic, they are very difficult to sample. Having a study span decades with over 1,600 samples is not an everyday occurrence,” Harbor Branch’s Coordinator of Research Programs of Population Biology and Behavioral Ecology Tatiana Ferrer said. “Migratory culture has been suggested in other mammal species, but this is the first time it has been demonstrated for beluga whales using these types of genetic techniques,” she added. Harbor Branch, located in Fort Pierce, is the base of about 200 staff, students, and ocean scientists who study engineering, coral reef conservation, and marine-based mammals and medicines. Shirley Pierre is a contributing writer with the University Press. For information regarding this or other stories, email [email protected].